Writer, publisher, web developer and artist, James Bridle responded to this by creating his own work, The Light of God. 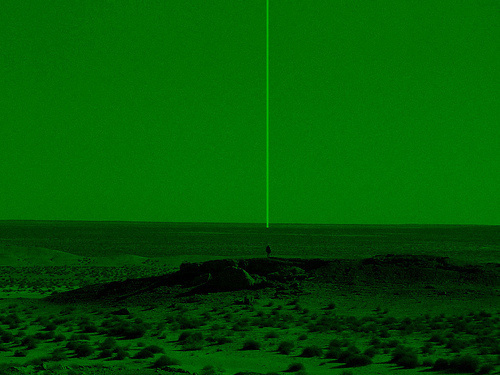 Sharing Paglen and Fast’s concern with the use of drones in warfare, Bridle has crated a series of projects which attempt to reveal their presence in the landscape. 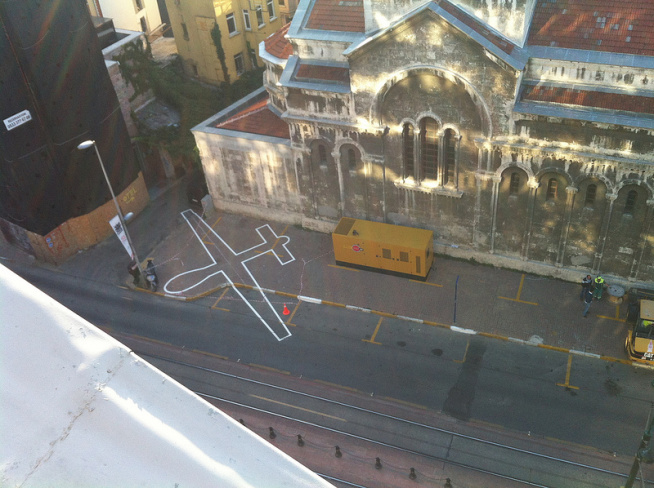 His Drone Shadow interventions are one-to-one representations of the MQ-1 Predator Unmanned Aerial Vehicle (UAV) drawn to scale within urban landscapes. The first was drawn in London this February (in collaboration with Einar Sneve Martinussen), and the second in Turkey this October as part of the Istanbul Design Biennial. 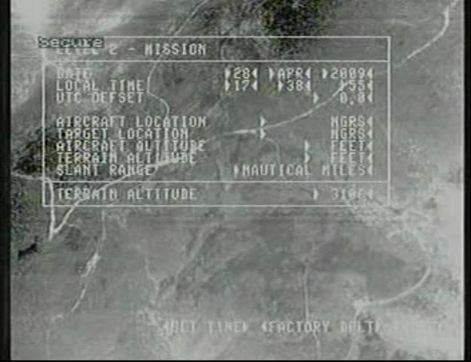 Like Paglen and Fast, Bridle’s work stems from a deep concern with increasingly invisible and seamless military technologies that are creating the context for “secret, unaccountable, endless wars”. His latest work, released last week, is Dronestagram. 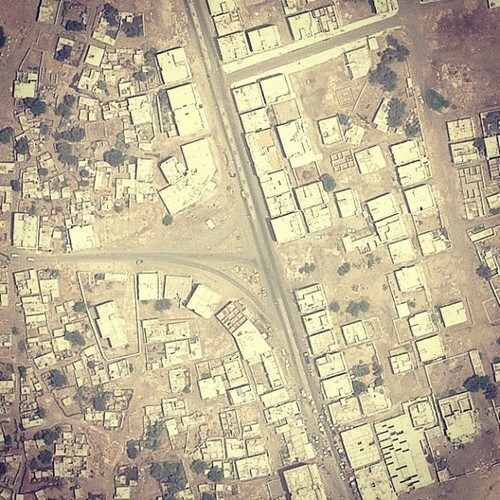 Bridle has been collecting images of the locations of drone strikes, and sharing these photographs on the photo-sharing site Instagram. His intention is to make these locations more visible, bringing them closer to us, and in the process perhaps making the reality of the daily occurrence of deadly drone strikes more tangible. He utilises public records from the Bureau of Investigative Journalism who document strikes as they happen in Pakistan, Yemen or Somalia. 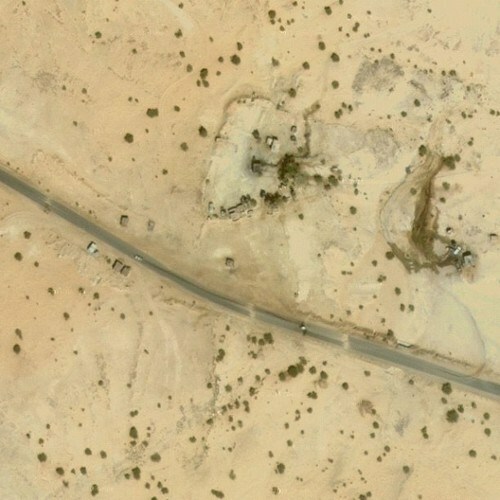 After confirming the location of a strikes, he then uses Google Maps to create a satellite image of the targeted location. 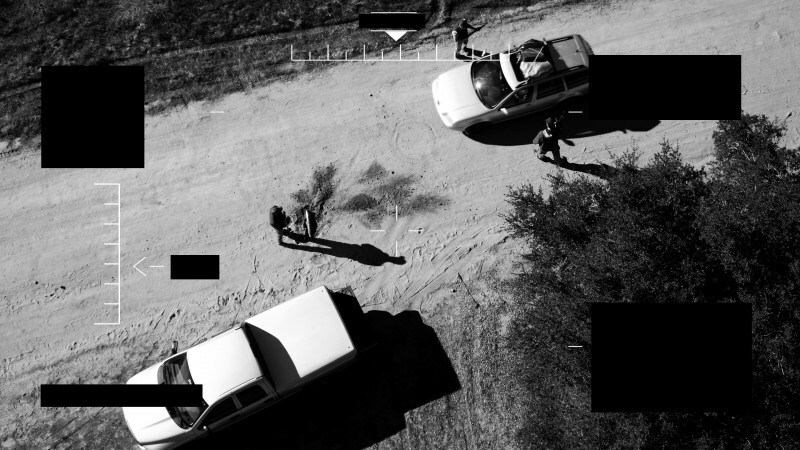 The image, accompanied by a description of the site, and the death-toll, if known, is uploaded to Instagram. Wadi Abu Jabara, Yemen, 28 October 2012. 3 killed. The images of deserted, barren landscapes and abandoned buildings have a sobering potency juxtaposed with with the banal pictures of pets and parties that populate Instagram. But it is what we don’t see that gives these images such an emotional power: the mortality. This post originally appeared on Honor Harger's website Particle Decelerator.